When purchasing a new machine the cost is obviously a focal point. What is often not apparent is the ongoing cost of validating the machine after purchase. This is particularly essential when purchasing a vacuum sterilizer. For example, HTM01-05 daily steam penetration testing can cost a few pence per day for some B type sterilizers totaling under a hundred pounds for the year. Some S type sterilizers however can cost several pounds per day totaling several hundred pounds per year for the same test. The cost saving on initial purchase can be quickly eclipsed by the ongoing cost of validation. 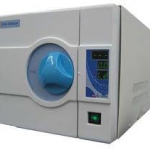 Autoclaves commonly sterilise by exposing its charge (items to be sterilised) to elevated temperatures of 121 to 134ºC under pressure of 15 to 30 psi, for a holding time of anywhere between three to 30 minutes. Please note that the three to thirty minutes time is the holding time at the set elevated temperature and not the total process or cycle time. Total cycle time would be far greater. The combination of the three lethal parameters of time, temperature and steam, deliver a powerful kill rate which even the hardest of bacteria find hard to survive. This effective and yet clean method of lethality is unmatched by any of the other methods of sterilisation. Saturated steam at this temperature is an excellent carrier of heat. The operative word is saturated steam. The steam condenses onto its charge and as it does so, it not only expands its huge latent heat but also draws in additional steam to replace the condensed steam. Thus, the heat transfer is very efficient and the penetration levels extremely high. However, if there is residual air in the chamber and load, it will interfere with steam-instrument contact and may compromise sterilisation. This residual air can prevent penetration of steam to the depths of the load, leaving your sterilisation incomplete. When you load the autoclave with instruments and close the lid, there is already a lot of stale air trapped inside. For sterilisation to take place, this air needs to be effectively purged and replaced with saturated steam. To resolve this problem of purging entrapped air, normal autoclaves will have a manual, mechanical or electrically operated valve open till about 100ºC. Once it is closed, the pressure and temperature begins to rise. It is presumed that by this time, the entire entrapped inner air has been purged. However, tests have shown that this is not an effective method for vials, wrapped items, implants, garments and certain types of hollow ware. 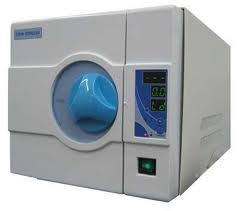 You can never be assured of efficient penetration of steam right inside, if you are using a regular autoclave. Even a small volume of entrapped air can compromise your sterility assurance level simply because ordinary entrapped air is a very bad conductor of heat and moisture. These pockets of air cannot conduct heat to the load with the same vigour as steam and therefore cold spots remain within the load. What is a Type N Sterilizer? A type ‘N’ sterilizer is also known as a downwards displacement sterilizer. Steam enters the chamber, pushing the air out prior to sterilization. This type of machine is not capable of removing air from difficult loads so should only be used for unwrapped solid instruments. What is a Type S Sterilizer? A type ‘S’ sterilizer can only sterilize loads that the manufacturer states the machine can process. The machine manual should indicate what can and cannot be processed, or the manufacturer themselves will have this information. If you are unable to clarify this then you must treat the machine as a type ‘N’ sterilizer and process only non wrapped solid instruments. Loads that the manufacturer of the sterilizer states can be processed. What is a Type B Sterilizer? A type ‘B’ sterilizer is able to process more difficult loads such as wrapped items and hollowware. It is able to do this as the machine removes air from the chamber by creating a vacuum before applying steam to the load. A number of different cycles may be provided. Each cycle should be fully validated and used in accordance with instructions provided by both the steriliser and instrument manufacturer. Unwrapped solid instruments, wrapped solid instruments and hollowware. WHAT ARE TYPE A & B HOLLOW INSTRUMENTS? An object whose ratio of length of cavity to diameter is greater than 5. An object whose ratio of length of cavity to diameter is greater than 1 and less than 5. An object whose ratio of length of cavity to diameter is less than 1.